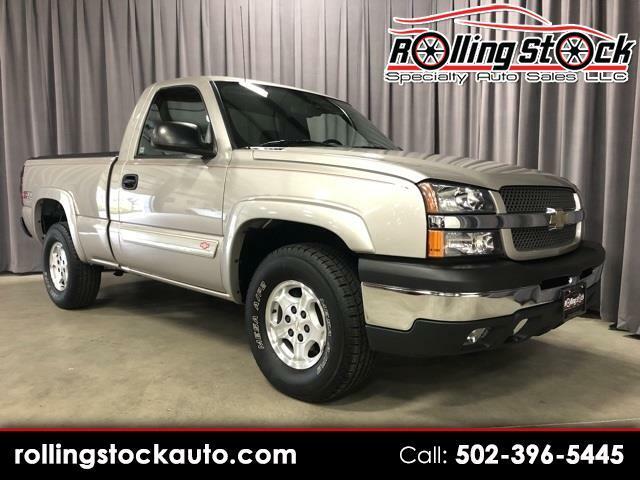 2004 Chevrolet Silverado 1500 Z71 Regular Cab 4X4- 5.3 V8 Automatic with All Power Options, Local New Truck Trade with Only 37,000 Documented Miles and This Truck Is Still As New As the Day it Left the Factory. Clean Carfax History with Documented Service Records and Always Garage Kept. I Have all Books and Both Sets of Keys and Fobs. You Can Find One for Less Money But You Won't Find One This New.... Contact Cary Donovan 502-396-5445 to Schedule Your Appointment To See This Awesome Find on My Showroom Floor in Middletown.